Winter temperatures are rearing their ugly heads, and if you haven’t already migrated south for the winter (even for a quick vacation), you’re probably wishing you’d done so. Whether you’re planning ahead for next year or thinking about escaping the snow, sleet, and below-freezing temps that are upon us now, we recommend you follow the snowbirds’* lead and find warmer temperatures! *“Snowbirds” are baby boomers and retirees that head south to warmer climates during the winter season. 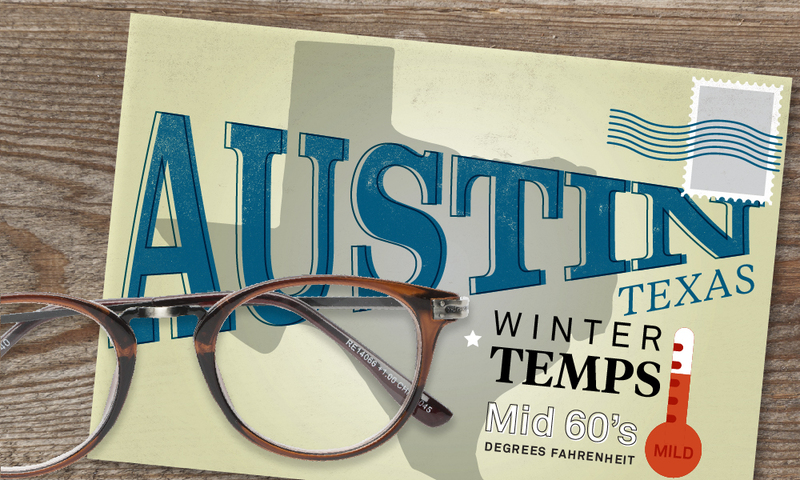 The warm sea climate and rolling hills of Austin make it one of the most scenic cities to visit in Texas during the winter months. With temperatures in the mid-60s, outdoor enthusiasts can enjoy hiking, bird watching, kayaking, fishing, and hunting in this mild winter weather. 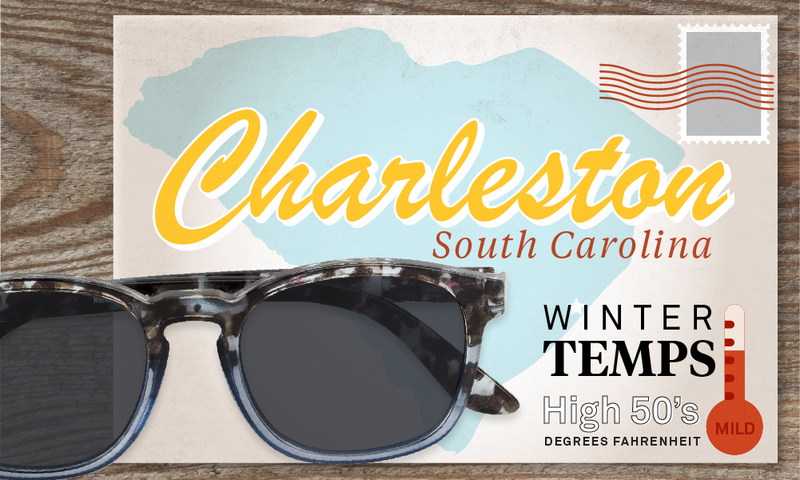 Winter visitors will only need to pack a light jacket when visiting Charleston in the winter months, but this historic city is known for more than its mild winter temps. Visit any of the eleven theatres, take a historic walking tour, reserve a tee time at any of the waterfront golf courses, or stroll down Museum Mile to experience the city first-hand. Plus, visiting during the winter months has its perks, since Charleston’s Wine and Food Festival takes place in late February and features the city’s best food and vino. 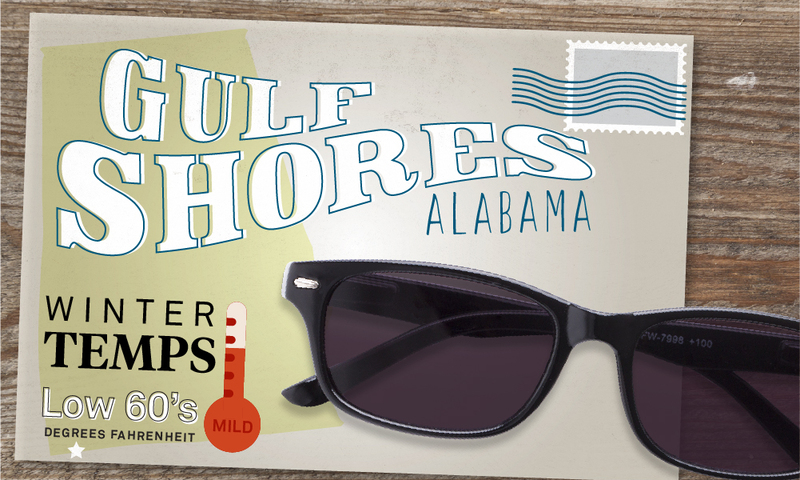 White sandy beaches are as close as you’ll get to seeing snow in Gulf Shores! The mild temperatures may still be too cool for a swim, but the sunshine, greenery, and miles of sand will make you forget it’s winter. For all you oyster lovers, the winter is prime season for oysters, so bring your appetite and prepare to melt away those winter blues. 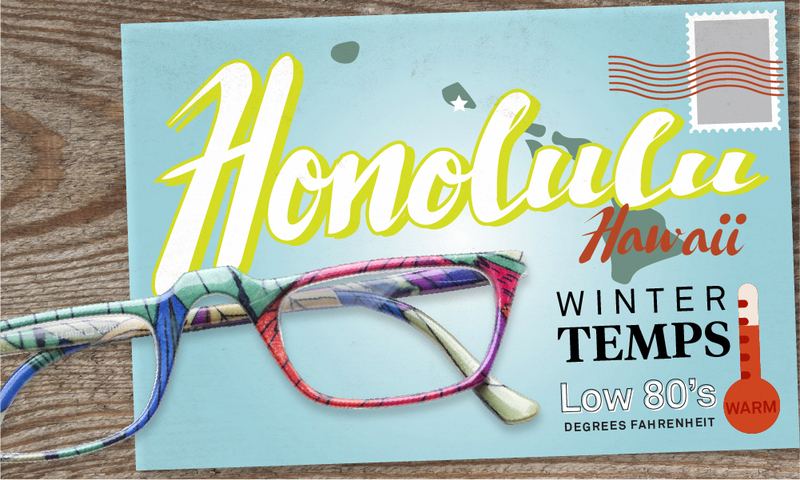 Trade your snow boots for sandals when you arrive in Honolulu! You’ll spend most of your time near the water, as the winter months bring big waves to Hawaii’s North Shore, and surfers will keep you entertained for hours as they ride large waves. Not a surfing fan? How about whale watching? Humpback whales will be frequenting the shores of Honolulu, as winter is peak mating season. 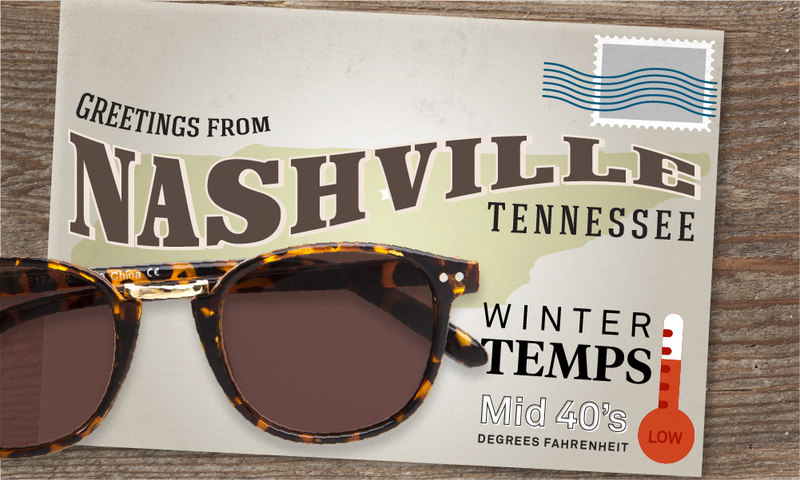 Nashville may not be a destination that comes to mind when you think of winter getaways, but with the endless entertainment options, it’s a must-visit city. With its generally mild winter temps, the perfect way to see the city is via an Old Town Trolley! Music City has endless museums, historic hotels, live entertainment, restaurants, shopping, and more! Shake off those winter blues while smooth jazz fills the cobblestone streets! Exploring the rich culture of the French Quarter in temperatures averaging in the mid-60s certainly beats hunkering down for the next snowstorm. 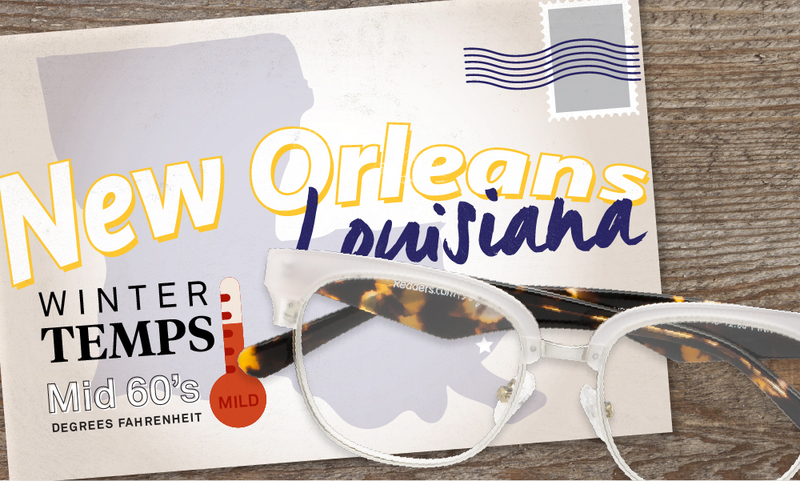 Famous for its cuisine – gumbo, po’ boys, jambalaya, beignets and more – your stay in New Orleans will not disappoint in any way! 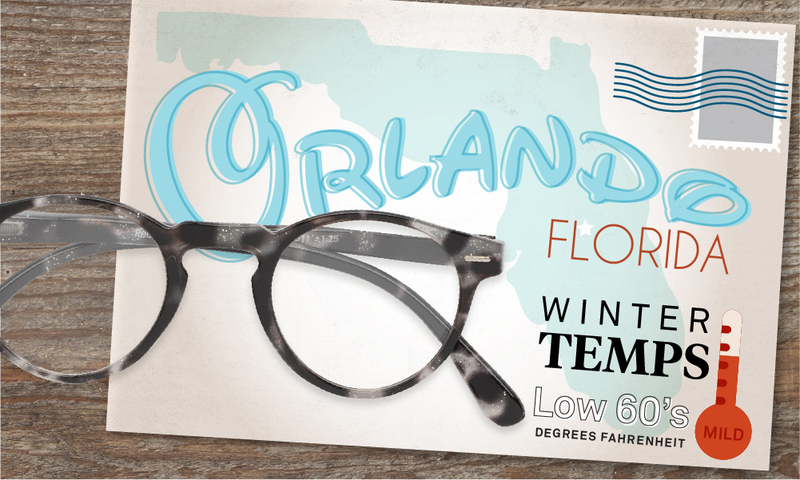 Orlando’s pleasant winter temperatures make it a prime time to channel your inner kid and visit any of the city’s popular theme parks! If you prefer surrounding yourself with nature rather than roller coasters, a scenic boat tour through any of Orlando’s parks will reveal the local wildlife also reveling in the area’s warmer weather. This centrally located city is a short car ride away from any of the surrounding beaches and a fun day trip! San Diego is the perfect California destination for snowbirds across the country. 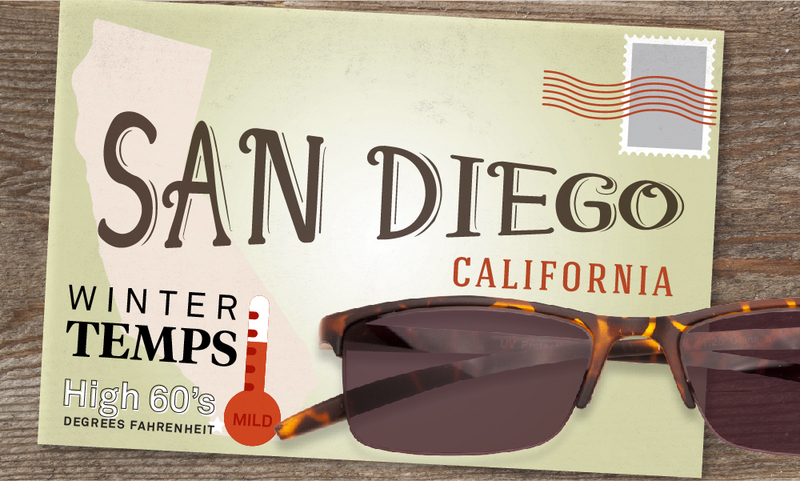 With mild weather year-round, winter will seem like any other season while you’re in San Diego! In this waterfront city, there is something for everyone – from museums to parks and gardens, to whale watching tours and more! 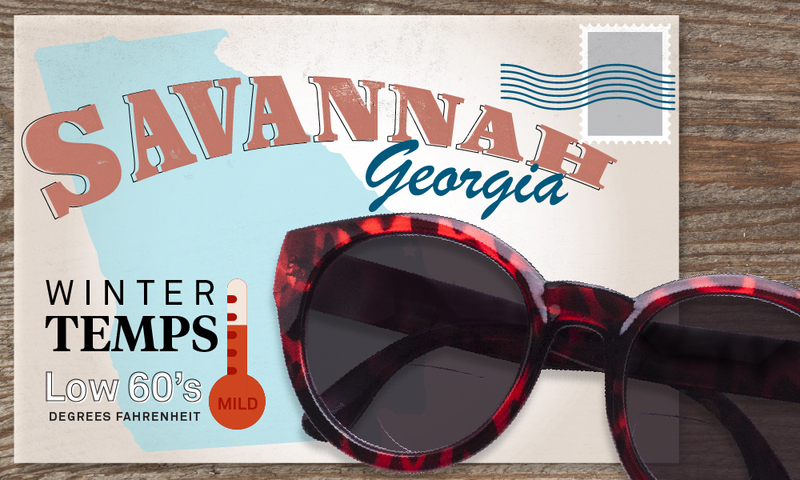 Grab your reading sunglasses and hit the town to experience the history and charm of Savannah! With mild winter temperatures, you’re free to spend your days fishing, on historic tours, attending food and music festivals, golfing, or relaxing on the shoreline. 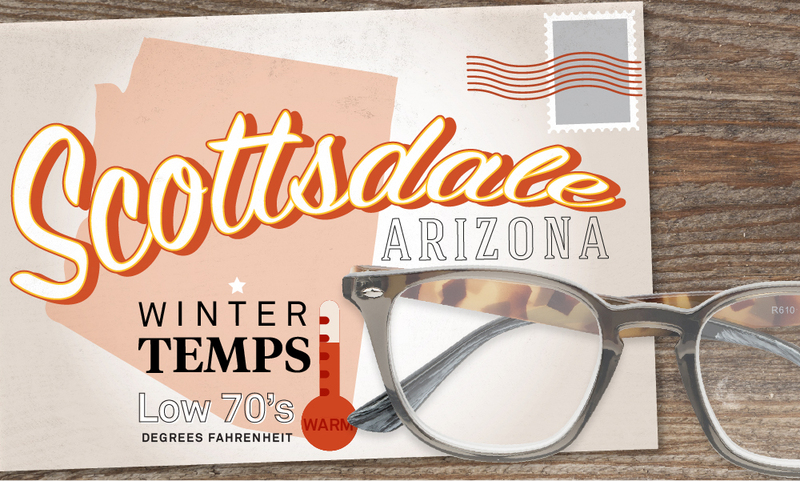 The sun shines nearly every day of the year in Scottsdale, making this an ideal winter destination. While you’re there, you can choose how to spend your time. Take in the desert and all of its natural beauty in the Desert Botanical Garden, practice your putting on any of the hundreds of golf courses, or hike the desert mountains – whatever the warm winter day inspires you to do!